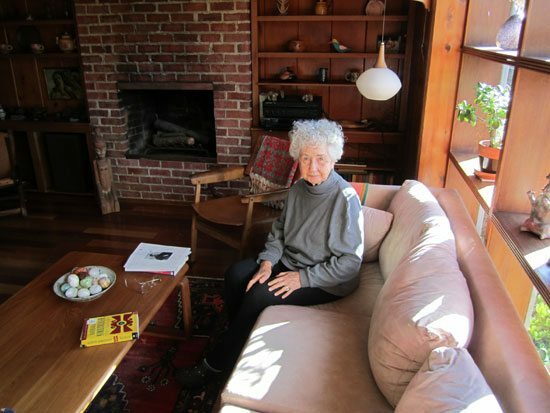 Editor’s Note: We received the news that Tanja Winter passed away on February 9, 2014. The date for a celebration of her life in San Diego has not been determined at this time. 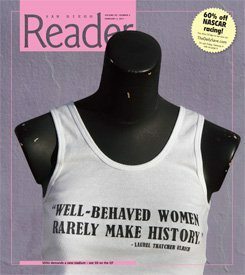 This article was published in 2011 and provides a glimpse into the life of an extraordinary woman. When Tanja Winter – the matriarch of San Diego’s progressive community – was 12 years old, she watched as German Nazis troops rolled into Prague where she lived, in what was then Czechoslovakia. It was 1939 and she was coming home from school. She vividly recalls that awful scene to this day – all the adults were standing around weeping. Over seven decades later, I’m sitting in her living room in La Jolla Shores, getting her to tell me more of her story. I’ve known Tanja for decades but never knew the details of her growing up or her earlier life on the East Coast with her soul-mate, Bernie, who passed away a quarter of a century ago. Tanja Winter has been a mainstay among San Diego’s progressives for decades, unrivaled – despite her size and gray – in focus, energy, and stamina. For many of us who were active in this City back in the 80’s and 90’s, she was the main elder of the tribe, always there with her quick political analysis, always ready to coach the rest of us, leading by example. She never sat still for very long, and was constantly pushing the younger activists who surrounded her. Tanya’s name has been synonymous with “activism” here in San Diego for a quarter of a century. She would be at ever rally, demonstration, picket – and for every progressive cause, from anti-nukes, friendship with the Chinese, Central American solidarity, labor, Palestine, environmental issues, against all the wars – really she was a true internationalist and activist extraordinaire . I hear from Tanja all the time, as she – always the tech-savvy organizer – sends an email blast called “Tanja’s List” giving its recipients a heads-up about things and events that Tanja feels are important, like lectures, films, protests, or links to articles with a decidedly progressive slant – just about everyday. Often, we’ll post something she sends us. Since Tanja and I are also friends on Facebook, back in mid-January, I saw that she was about to have her 84th birthday (January 18th) I decided then and there to go and interview her. But the day before I drove over to her house for the interview, I received a strange-looking email from her – telling me she was moving out of San Diego. Oh, no! I thought this can’t be. The grand dame of San Diego progressive politics was leaving us. I was spurred on to get that interview. Tanja lives in a quiet neighborhood that’s a couple of blocks from the beach in La Jolla. She and Bernie bought the house in 1975 when they first moved here from New York. Today it has a very modern drought-resistant front yard full of succulents and cacti. Diminutive in stature with her signature curly gray hair, Tanya welcomed me at the front door and led me into her home. I asked for a tour through the modest abode -which is up for sale – and it’s three bedrooms and kitchen. The walls are mainly bare but are made up of real wood paneling, which gives the place a darkened but warm feel. “They wanted me to take down all my art,” she said, referring to her realtor. It’s supposed to help sell a place if potential buyers don’t see what’s on the walls, she said. I regretted that as I did want to see what she had on her walls for display. The art on a person’s walls can tell you a lot about them. One room was her office, with a desk, computer, many small, framed photos of her and Bernie and friends. The middle room was full of an organized pile of packing boxes plus some of the art that she had removed from the walls. The third and largest room was the master bedroom with French Doors leading out to the sideyard. The sideyard is where Tanja has continued her homage to succulents and her many types of cactus. This is where the driveway once stood, she told me. Back towards the end of that is the former garage which has been converted into a small unit and is rented out. We begin the interview sitting on the living room couch, the warm winter sun pouring through the framed panes of the front windows. A Barbara Ehrenreich book is sits askew on the coffee table, a stack of Nation magazines off to the side, folded over as if being read. Tanja warns me not to ask her about people or dates. And then I proceed to do just that. Tanja was born in Paris in 1927 to Russian parents, Alexander and Sylvia Jelsky. As her father was a film producer, they moved around Europe a lot. From Paris to Berlin, and then Berlin to Prague…. Her mother Sylvia was an acculturated woman, with artistic talents who spoke many languages. They spoke Russian at home, but Tanja learned German and Czech in school. When she speaks today there is absolutely no trace of any accent – except a New York one. This was all a surprise to me, as I had assumed Tanja was one of those east-coast Jewish intellectuals and party veterans. That balloon popped right away. I had no idea that she had been born in Europe. She and her parents – she was an only child – were Jewish, but as Tanja explained, “I was a cultural Jew, never religious.” What happened, I asked. “It’s a long story,” she answered. Like the rest of Europe, Tanja was deeply affected by what was happening on the continent. After the Germans took Prague, her parents decided that she and her mother should get out. Fortunately and ironically, her mom had been briefly married to an American, and thus had an American passport with Tanja’s name on it. Unfortunately, her father had none. Tanja and her mother grabbed a boat to France, and made their way to New York, and then to Newark, New Jersey. Alexander, her father, was not so lucky. He never made it out of Prague. For six long years, Tanja and her mother waited for some kind of news about him – they had nothing to go on during all that time, despite Sylvia’s searches. Long last, they found out that her father had been picked up by the Nazis, and as he was an able-bodied male, he’d been sent to a work camp – and of course he never made it out. Many, many years later – after Bernie had passed away – Tanja returned to Prague with a group of peace activists. She made her way into the oldest Jewish cemetery in the city, and there on a wall next to the old Synagogue, were the names of all those picked up by the Nazis, and sure enough, there was her father’s name, along with his birthday and the date that he had been picked up. She must have felt a certain closure with this discovery. And even though, she and Bernie had visited Prague much earlier, in 1968 – during the “Prague Spring” – the inscription of her father was not up yet. Back in Newark in the late 1939, Tanja and her mother were totally on their own. Sylvia had a cousin locally, but she was no help to the recently arrived immigrants. They ended up moving to Brooklyn, where Sylvia found a job as a housekeeper, but she had to be a “live-in” and couldn’t keep Tanja with her. So Tanja had to be boarded with another family. The next ten years or so were kind of fuzzy, Tanja told me. Yet in 1949, Tanja walked out of Hunter College in New York with a degree in economics. She eventually found a job as a social worker at a local hospital. It was the beginning of a new decade, 1950. As it turned out, there was a young man named Bernie Winter working in the dental clinic at the same hospital. Bernie had grown up in Manhattan, had been in the Army, and then had used the GI Bill to go to dental school. “He had six girlfriends,” Tanja laughed. But they hit it off, got married, and moved to Levittown, a suburb of New York City that had been built for returning GI’s. It was economically accessible, and there were lots of young people with kids, Tanja remembers. Yet at first it was a struggle for Bernie, the new dentist. Things got so tough at one point, he had to move his office into the family house. Then the Winters started having children: Terry – the son – in 1952, Nita in ’54, and Mia in ’56. With all the kids, they needed a bigger house, so they moved to another Long Island suburb, Syosset. During all this time, while they raised a family and Bernie got his practice moving, the two of them were very active politically – mainly around civil rights and mainly around local issues, including supporting progressive candidates. And, Tanja is very proud of this: in the very early Sixties she joined Women Strike for Peace – an international organization. The Winters would drag the kids to anti-war demonstrations once the Vietnam conflagration picked up steam. They were politically active, but not active enough to join leftwing groups or parties. I asked Tanja what kind of political person she considered herself to be. A “socialist”? An “anarchist”? In the mid-Seventies, as the kids were getting older, and as Bernie eyed retirement, the Winters got the travel bug – a left-wing travel bug at that. In 1974 they visited China; Nixon had “opened” China just two years earlier, and there was a lot of curiosity about the huge “Red” country among progressive Americans. Bernie and Tanja had been part of a trip organized by The Guardian – a leftwing newspaper out of New York. “I loved Mao,” Tanja told me. “He was great. What they did for women was great. It was totally amazing.” Her comments made me smile. I knew she was not a “Maoist” but I appreciated her willingness to express something positive about the George Washington of the Chinese revolution. Especially these days when the present Chinese ruling elite has strayed so far from its original ideals. While in China, Bernie, the avid photographer, had a wonderful time. And he would later develop all his photographs into a slide show about China. And they would take his slideshow on the road, so to speak. Bernie, as it happened, had other things going on. At one point while still on the East Coast, he experienced a mild heart attack. His doctor told him he needed a better climate. And on their way to China, they stopped off in San Diego to visit friends. That did it, they knew where they had to move. The very next year, they sold their Long Island house, picked up everything and moved out here to the West Coast. When they first arrived, and started looking for an apartment in La Jolla, it was during a Santa Ana – something foreign to East Coasters. “It was too hot,” Tanja told Bernie, and she almost changed her mind. But they found their dream house on Paseo del Orasco and took up residence. Tanja began exercising her green thumb, planting all kinds of things, and created a vegetable garden in the backyard. Bernie took his China trip slides and they formed the US-China Peoples Friendship Association so he could show them around and educate folks in San Diego and elsewhere. This was 1976 and just the beginning of their Left Coast activism. During the revolutions in Central America in the late Seventies, they joined others in doing solidarity work, forming something called the Friends of Nicaragua Culture. This was when I first ran into them. I was involved in the Nicaraguan solidarity committee in San Diego, and we worked on a support rally at Chicano Park together. They visited Nicaragua many times, Tanja told me, … I asked “How many? How many times?” A half dozen she replied. Bernie and Tanja also helped to organize – funding mainly – the building of schools in that war-torn, impoverished country, and sponsored a whole bevy of Nicaraguan musicians to come north to San Diego and the States. They also got involved in the anti-nuke movement in the early Eighties. Tanja recalled numerous demonstrations that she helped organize up at the San Onofre nuclear power station. It was the Reagan years, and Ronnie Raygun kept waving the nuclear card at his Soviet adversaries. It was a frightening time for people with consciences. Tanja’s concern around nukes would return to her in a few years. But first she had a more personal tragedy. Her life-long soul mate, Bernie, suffered his final and fatal heart attack in 1985. I asked her, “did you ever date anyone else or remarry?” No, she shook her head. 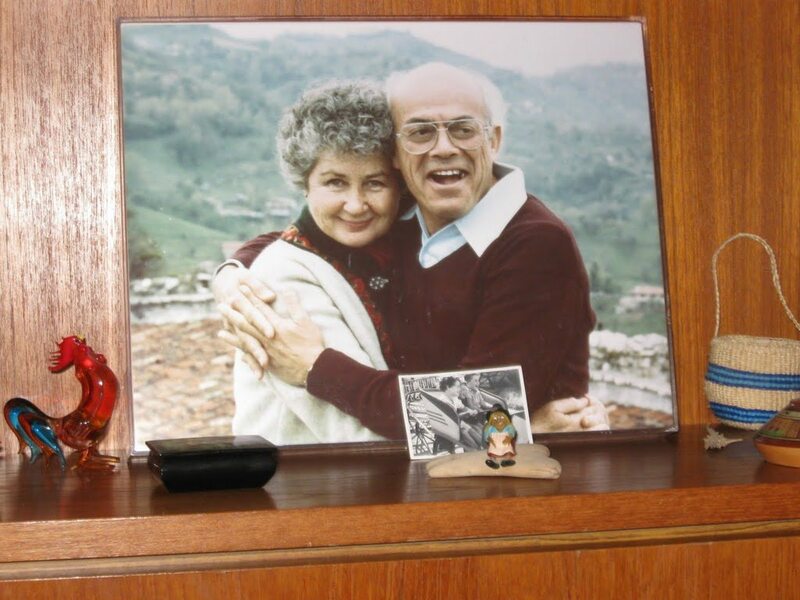 There are those who find their true-hearts and stay with them for life and that was Tanja and Bernie. There never could be anyone else. With Bernie gone, Tanja was forced to open a new chapter and this one included the children of Chernobyl. After the meltdown in Russian in 1986, she flew to the contaminated city, and as she could speak Russian, was able to win over locals with her plan. She would have the children create paintings for her, she would bring them home, frame them, and put on exhibits to raise money for the kids. She actually brought over dozens of children, found host families and helped them boost their immune systems, she said. “The kids had a great time.” With good food, good climate, and love, these children of Chernobyl returned home much restored. This was one of her finest endeavors. It was also during the Eighties that Tanja got involved with the Universal Unitarian Church, and the other causes, like clean energy, environmental issues, then the first Gulf war in the Nineties, – the list goes on. If you were a progressive activist in San Diego during those years, you would certainly have heard of and known Tanja Winter. And she’s remained active all this time. More recently, she has been involved in Activist San Diego – a coalition of sorts of progressives. Lately, as she has cut back, she’s been able to focus on her gardening, her photography. Her children, all now grown of course, are a natural source of pride. Son Terry became a health professional – and has provided Tanja with her first grandchildren -, daughter Nita a photographer – and both of them live up or near the Bay Area. Daughter Mia who lives up the coast in Oceanside and is bi-polar, has had a more difficult time with her life. Tanja Winter has been a tireless activist and organizer for peace and justice in San Diego for 35 years. Since her childhood escape from Nazi Germany, she has been a community activist and coalition leader who pounded the pavement and government offices for equal rights, empowerment, prison reform, global disarmament, environmental protection and peace. Her commitment to world peace led her to some of the most effective anti-nuclear demonstrations and world conferences in the past half century. 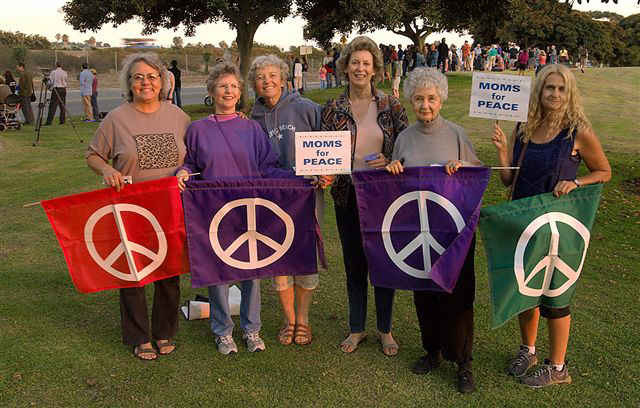 For example, “Women Strike for Peace” began in 1961 when thousands of women left their restricted boundaries of home and job for a one-day strike against nuclear arms. This led to a nation-wide movement that was so effective that the House Un-American Activities Committee summoned the WSP leaders for a hearing, accusing them of communism. Upstaging the Committee, the activists made fools of the Congressmen. From letter-writing, to organizing events to sending out informational emails, Tanja Winter’s life work has been to bring the issues of peace and justice to the forefront of world consciousness. She founded: Children of Chernobyl to bring children from the contaminated areas to San Diego each summer; “Nica Solidarity” and “Friends of Nicaraguan Culture,” solidarity activities for Nicaragua; the Community Energy Action Network, promoting renewable energy sources while opposing nuclear power and weapons. For ten years she also been a facilitator for “Hands of Peace,” a project of “Alternatives to Violence,” leading workshops in state prison about creative conflict resolution, self-esteem building, personal empowerment, and community building. Now 80, she is most active in two organizations she help create: the Peace & Democracy Action Group and Activist San Diego, both grassroots organizations devoted mobilizing the public for peace, justice, and equality. She is moving out of San Diego as soon as she sells her house. And she plans to “retire” in Mill Valley, up in the Bay Area, where she’ll be closer to two of her kids and her grandsons. “I never expected to go to a senior community, but this place is different,” she said explaining the seniors’ village called appropriately “The Redwoods”. She visited the place recently, and discovered there’s lots of programs and lots of “retired peaceniks.” During her visit up there recently, she saw a bumpersticker that made her smile: “I’m already against the next war,” it said. She plans on moving into a one bedroom apartment in this community. “It’ll have everything I need without going out,” she explained half-apologetically. Will she miss San Diego? In typical Tanja-ese, she responded, “I don’t know yet. … I have wonderful friends here,” she mused, trailing off. As I prepared to depart, we hugged, and I started to tear up, thinking that this might be one of the last times – if not the last – that I’d ever see her. She had kept saying during our time together that afternoon, “I’m an independent thinker.” That she is, indeed. And she is definitely one of my heroes. And in these crazy times, we need to honor our heroes. Tanja Winter – activist par excellence – when you leave for the Bay Area, there will be a big hole in San Diego’s heart . I only knew her as a person of great courage and source for quotation, but, Frank, your article has made me feel like I know her. Beautiful piece of work, full of respect. Great article, Frank. I only wish there were more like her. Thank you for this beautiful biography of a lady I was fortunate to call my friend. I loved the days she would invite me to lunch at her home. I wish you could have seen it when all the pictures were on the walls – they told a story of an amazing life. I think one reason we connected was because we both lived in New Jersey and Long Island. But mostly, because we are both obstinate, independent women. I’ve missed Tanja since she left. When I would call her, she would beg me to come visit. But I couldn’t afford the trip. Tanja lives on in the many activists she mentored and inspired here in San Diego who will carry on her passion and her work for peace and justice. I am the son of Tanja Winter. Thank you for the reprint of the article. Tanja will be missed by her family , and also by the progressive community of San Diego. All of her friends and those who were inspired by her work for peace and justice are welcome to join us in San Diego for a celebration of her life and her work. On behalf of all of us in ACTIVIST SAN DIEGO, an organization which you were a co-founder and which you nurtured for 11 years till the lay you left SD, we celebrate you Tanja! You breathed life into the idea of KNSJ, the San Diego Community Radio Project… You were there for the people ( be they Nicaraguans, Iraqi or Americans) and you are loved and respected for your deep commitment to walking the walk on the road to social justice. What a fabulous journey. Tanja Winter memorial celebration – Sat. March 22nd 2-5 PM, Church of the Bretheren .